You’ve resolved to lose weight, get in shape, and be a healthier, happier you. Congratulations! 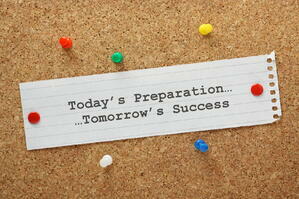 The question is, how can you meet your health fitness goals? For many people, meeting weight loss goals is accomplished by following a strict diet and exercise routine. Others join special weight loss programs. Either way, successfully losing weight and getting healthier is going to take some lifestyle changes. What are some of these changes? To help you meet healthy weight loss goals, we’ve assembled a few healthy medical weight loss lifestyle tips. As your diet/exercise/meal replacement plan progresses and you start to shed weight, make sure to have regular checkups with a qualified physician. During these visits, your physician can verify that your progression to your weight loss goals is healthy, and that you’re getting all of the proper nutrition you need. This is important because, as you shed those unwanted pounds, your body’s metabolism can be altered, changing your dietary requirements. Getting a checkup once every few weeks (or immediate emergency checkups if you start to experience symptoms of tiredness, weakness, or involuntary muscle spasms) can help you stay on top of your nutritional needs so that you can be healthy while you lose weight. Water remains one of the healthiest things that you can put into your body, and ensuring that your body’s getting enough water is an essential part of keeping yourself healthy. So, after a rigorous exercise routine, take a few sips of water to replace what gets lost when you sweat. As a general rule of thumb, make sure that you get somewhere between 2.2 liters (for women) and 3 liters (for men) of water per day, with a little extra intake after periods of heavy activity. When on a medical weight loss program, it might be tempting to enter “extreme diet mode” and try to lose as much weight as possible as quickly as possible. However, fast weight loss isn’t necessarily healthy weight loss. Losing weight too quickly can have an adverse effect on the body. One of the causes of this is that when you’re on an extreme diet that removes food, you can wind up suffering from a lack of nutrition. Your body isn’t getting the nutrients it needs to survive, so you end up experiencing problems as a result. On most medically-supervised programs this shouldn’t be too much of an issue, as the doctor can prescribe vitamin supplements to replace the nutrients lost on a restricted diet. Generally speaking, weight loss of more than 2 pounds per day is risky, though. When you’re on a medically supervised weight loss plan, it is vital that you follow the directions given to you by the medical professionals supervising your program. Be sure to inform your doctor of any and all medications that you may be on, including other diet supplements, pain pills, heart medication, etc. Many medicines can have severe side effects when taken in conjunction with other medications. In order for your physician to provide you with the best way to lose weight safely, he or she needs to know about any other medications you may be on. Also, avoid taking more than the doctor-recommended dosage of any diet aid or supplement that is prescribed. For many people on a weight loss program of any kind, the hardest part of the program is keeping the weight off once the plan is over. All too often, once a person’s diet is “done” and their weight loss goal has been achieved, they balloon back to their pre-program weight or worse. This is why it is important to have a diet and exercise plan for after the end of a medical weight loss program. By keeping track of your calorie intake, exercising regularly, and avoiding too many unhealthy foods that lead to rapid weight gain, it is much easier to stay at your ideal weight once you’ve attained it. To get the best advice for important lifestyle changes to help you meet healthy weight loss goals, be sure to consult the experts who are a part of your weight loss program (nurses, physicians, and dietitians). The professionals at Step Ahead Wellness, for example, specialize in providing advice that will help you achieve your health and fitness goals in a safe and effective manner. In programs such as Step Ahead’s OPTIFAST program, dietitians such as Sari Greaves (our nutrition director) are available to help you form plans for life after your diet is over so that you can lead a healthy life through lifestyle modification, as well as provide helpful advice for meeting goals when you need it. Sari's experience as a dietitian is respected throughout the country, and she has even made a guest appearance on the Dr. Oz show to share her knowledge with the world. Noëlle Lusardi, our fitness director, is here to lend a helping hand for personal training and fitness counseling. 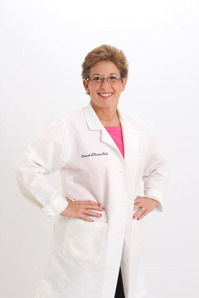 She has served as a member of the Aerobics & Fitness Association of America (AFAA) for over 20 years, and brings her considerable knowledge and experience in helping people to every consultation. With her experience, she can help you create and execute a physical activity regimen to keep you on track for losing weight and keeping it off safely. Learn more about how you can use a healthy medical weight loss program to shed the pounds and keep them off today! Sometimes, the temptations of summertime barbecues make maintaining a diet difficult. However, there are a few tricks to enjoying summer foods in a healthier way. Many condiments are swimming in fat (think mayonnaise and sour cream), sodium and sugar (think ketchup and barbecue sauce). The good news is that there are healthy alternatives for adding flavor to your barbecue favorites. Choose low-sodium ketchup (15 calories, 0g fat, and 3 mg sodium) instead of regular ketchup (15 calories, 0g fat 167 mg sodium). Choose fat-free mayonnaise (11 calories, 0g fat, and 120 mg sodium) instead of regular mayonnaise. 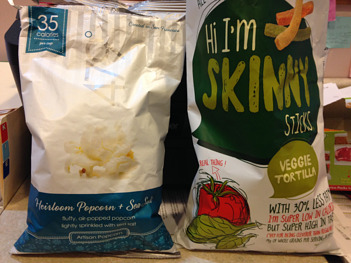 (57 calories, 5g fat, 105 mg sodium) – you save calories, but you don’t save on sodium. * Ketchup and mayonnaise dietary values are based on measurements of ONE tablespoon. Be sure to practice portion control when using condiments. Make the “OK” sign with your thumb and index finger. The circle you create with your fingers is about 1 tablespoon- keep you portion to 2 tablespoons maximum. * Barbecue sauce dietary values based on 2 tablespoons. Mexican style: Cilantro, cumin, oregano, garlic, chilies, dash of olive oil or lime. Asian Style: Ginger, sesame seeds, low sodium soy sauce, garlic OR low sodium teriyaki sauce diluted with pineapple juice. Always feel free to add extra vegetables like tomatoes, onions and peppers instead of loading on more sauce. You can tenderize lean cuts meat to increase flavor and texture. Marinate meat in salsa, low-calorie salad dressings, wine, pineapple, papaya or citrus juices such as orange, lemon or lime. Cover meat with about a quarter-inch of marinate and refrigerate for up to 24 hours. When it’s time to cook, place the meat on a clean, slightly oiled grill. Baste with fresh marinade or heat the marinade until it reaches a rolling boil before using it. Grill steaks until they are at least 145 degrees Fahrenheit and ground meat until it is at least 160 degrees Fahrenheit internally. Lighten your potato salad by downsizing the amount of real mayonnaise from 1 cup to ¼ cup and mixing in 3/4 cup fat-free sour cream instead. Lighten your pasta salad by using a light dressing to cut fat in half. Lighten a vegetable side dish by broiling it instead of sautéing it in oil. For example, broiled peppers are delicious. Think beyond white rice. 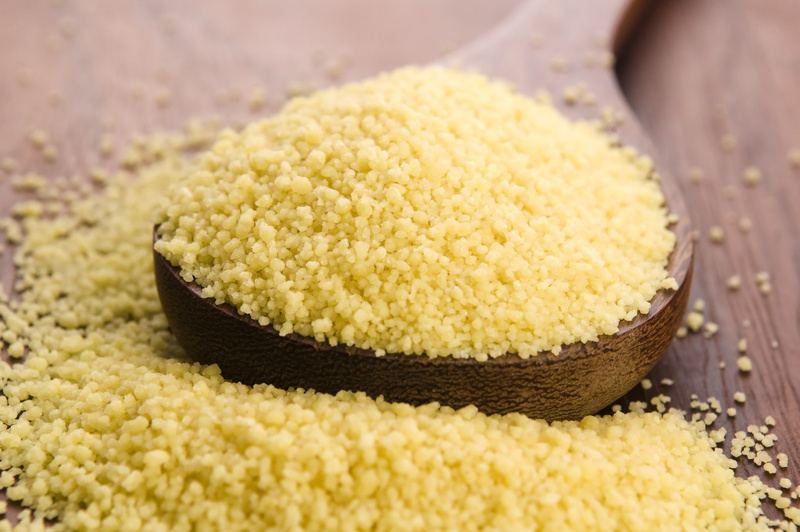 Whole grains such as quinoa and whole wheat couscous make fine additions to a barbecue meal. Prepare a grain pilaf by adding diced carrots, celery, onions and pine nuts to the dish. Edamame (green soybeans) can be served as a sweet & satisfying side which provides both protein and fiber. You can find them in the frozen section of the supermarket. For the healthiest results, boil edamame or steam them in the microwave. Spicy flavors satisfy. Prepare a noodle side dish using soba noodles (buckwheat). Cook these noodles according to the package’s directions. Toss noodles with 2 teaspoons peanut oil (heart-healthy fat), ½ teaspoon of crushed red pepper flakes, chopped scallions, 3 tablespoons reduced sodium soy sauce and 1 teaspoon of hot sauce. As always, be mindful of food allergies when preparing foods with ingredients such as peanut oil. With proactive eating and planning ahead, your next barbecue can be a healthy experience. From the menus below you can see that if you are not careful, calories and fat creep up quickly. Save an additional 64 calories and 7 fat grams by swapping the hamburger for a veggie burger! Final Tip: Summer is not only about food. Do stay active. Exercise is an effective way to prevent weight gain and stay energized. Exercise does not have to be limited to a 30 minute walk on a treadmill. Take advantage of the hot weather and engage in fun outdoor activities such tossing a Frisbee with friends, family and pets, swimming, rollerblading, or playing tennis. Enjoy the company of family and friends away from the comfort of your indoor couch and go for a nice brisk walk together outside instead. 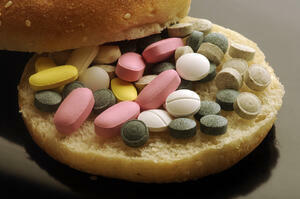 Ask the Weight Loss Dr.: Are Appetite Suppressants Right for Me? When it comes to losing weight, medical assistance is the last resort for many people. The reasons for waiting to seek professional weight loss solutions from a real physician/dietician are legion; ranging from a reluctance to discuss weight-related problems with a stranger to an understandable fear of the side-effects of medical procedures. However, for all too many people, fad diets and other do-it-alone methods of losing weight prove to be ineffective. Because of this, it is often necessary to seek out the help of a trained physician in order to create a comprehensive weight loss plan. One of the major discussions your dietician/physician should have with you is whether or not you should use appetite suppressants to help you meet your weight loss goals. Whether or not you are diabetic. Whether you are nursing, pregnant, or could become pregnant. And these are just a few of the factors that apply to most appetite suppressants. Specific types of appetite suppressants can have specific side effects for people who suffer from other conditions, such as glaucoma. For many people looking to shed excess weight, however, appetite suppressants can be a very effective way to help maintain weight loss goals and prevent extra weight gain. Have difficulty controlling the urge to eat. Have constant feelings of hunger. Have been trying to cut back your meal portions but still eat more than you should. Want to reduce your appetite without committing to a more invasive procedure, such as gastric bypass surgery. As with any form of medication, it is important to make sure that you talk with your physician before starting an appetite suppressant regimen. Only a trained Weight Loss Dr. is qualified to make a complete assessment of your dietary needs. If you begin an appetite suppressant regimen, make sure to check in with your doctor on a regular basis to track the progress of your weight loss program. Also, ask the physician supervising your treatment if the specific appetite suppressant that he or she is using is suited for long-term use. If the treatment that you are on is not suited for long-term use, it is important to make sure that you follow your weight loss doctor’s recommendations as to when to stop taking it. Why the strong cautionary information? Because, here at Step Ahead Wellness, we’re dedicated to doing what’s best for you. While we know that appetite suppressants can be a wonderfully effective way to lose weight, they aren’t for everyone. That’s why we’ll work with you to determine if appetite suppressants will be an effective treatment for you specifically. We take into account any pre-existing conditions that you have before we make any dietary recommendations, including the prescription of an appetite suppressant. Learn more about appetite suppressants and other weight loss tools and procedures by contacting Step Ahead Wellness today! Tis’ the season of hot dogs and burgers. The joys of summer are surrounded by food laced with calories and weight gain risks. But, with a healthy eating plan, you can satisfy your taste buds without expanding your waistline. Here are the five most common mistakes people make when eating at a barbecue and solutions on how to avoid popular diet pitfalls. Diet Pitfall #1. Arriving to a barbecue starving. Are you just going to wing it? Think again. Attending a barbecue extremely hungry without a game plan is a combination that can lead to overindulgence and diet regrets. Practice damage control when it comes to your favorite summer foods. Remember that everybody can eat something of everything; it’s just a matter of how much. A small sliver of mom’s apple pie with a side of fresh fruit will do less damage to your waistline than chocolate cream pie a la mode. Take control of your environment whenever possible. Never engage in conversation while sitting next to a bowl of potato chips. 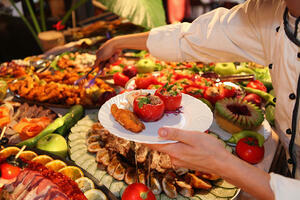 Summer events are a great time for mingling and conversation is calorie-free. Two additional tips that help prevent overeating include wearing snug-fit clothing and chewing on sugarless gum, which can prevent you from returning to the buffet line for second helpings. If you are starving, you are more likely to eat fast and impulsively, instead of selecting foods based on nutritional value. This can lead to calorie overload—just 1 ounce of potato chips and 2 tablespoons of ranch dip adds up to 200 calories and 16 grams of fat, and that’s before the main course. Take the edge off your hunger before a party. Eat a small low-fat snack such as fruit or low-fat yogurt before you head to a summer barbecue. This will help you avoid rushing to the buffet table when you arrive. It’s also a good idea to eat slowly and savor every bite. It takes 20 minutes for your brain to register fullness. Speed eating (usually as a consequence of extreme hunger) can easily lead to excessive calorie intake. Using chopsticks for salads and noodle dishes can slow down your eating pace. Diet Pitfall #2. Putting the wrong foods on the grill. While it is true that outdoor grilling allows excess fat in meat and poultry to drip away, it is worth keeping certain foods off the grill due to their high calories, saturated (artery-clogging) fat and sodium content. The culprits: regular ground meats, dark-meat poultry with skin, beef short ribs (just 3 ounces has 330 calories and 31g fat, pork spareribs and sausages (1 link of bratwurst has 281 calories, 25g fat). Grill lean cuts of meat. 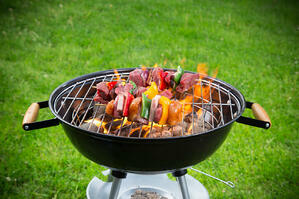 Lean protein adds a “satiety factor” to your barbecue meal, keeping you full on fewer calories. Purchase ground meat and poultry advertised as “lean” or “extra lean” on the package*. Choose white-meat chicken over dark. 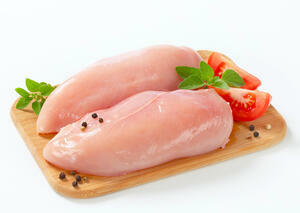 Chicken breast is lower in calories and fat than is the dark meat found in thighs and legs. A 3-ounce serving of grilled skinless chicken breast tenders has about 110 calories, 3g fat—that’s 100 fewer calories and 12 fewer fat grams than the same serving of chicken thigh with skin. Add seafood to your grill. 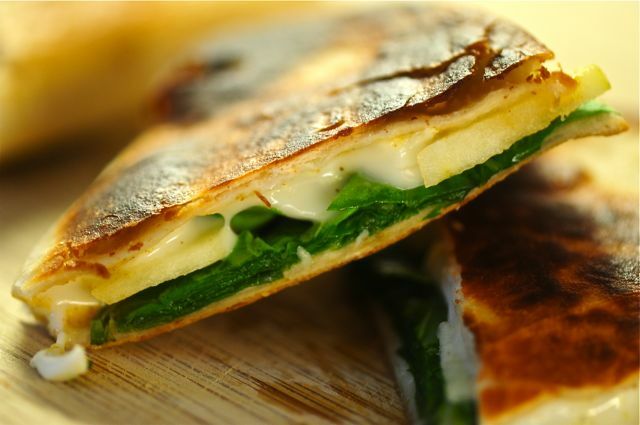 Firm, fatty fish like salmon (which contains heart-healthy omega-3 fat) is the easiest to barbecue. Shrimp also serves as a low-fat source of protein. A 3 ounce serving of cooked shrimp (about 12 large shrimp) provides 90 calories and a modest 1.5g fat. Flavoring with lemon juice and herbs instead of an oil-based marinade can save calories. When buying beef, look for the words round or loin (eye-round, bottom round roast and steak, or sirloin/flank steak). When buying pork, look for leg or loin cuts (pork tenderloin, top loin. A 3 ounce cooked serving of pork tenderloin has only 116 calories and 4.5g fat. Don’t stop at meats. Lean protein can also be vegetarian. Prepare veggie kebabs using cubes of firm tofu on a skewer with your favorite fruits and vegetables (mushrooms, grape tomatoes, pepper, onions, pineapples, apple slices) For a meaty burger without the beef, swap a hamburger for a Portobello mushroom burger topped with 2 slices of low-fat cheddar cheese (48 calories, 2 g fat, 7g protein per slice of cheese). For added flavor, remove stems and gills of Portobello mushroom and brush with olive oil and balsamic vinegar. Non-fat cooking spray (olive oil or canola oil base) can be used in substitution for oil to save calories. * Lean beef has less than 10g of total fat, 4.5g or less of saturated fat (the bad-for-your heart-fat that raises blood cholesterol) and less than 95 mg of cholesterol per cooked 3 –ounce serving (about he size of a deck of cards). 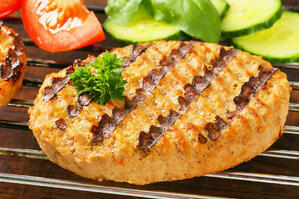 Extra lean meat has less than 5g of fat and less than 2g of saturated at per cooked 3-ounce serving. Diet Pitfall #3. Forgetting to factor in beverage calories. 1. Eat your fruit, rather than drink it. Whole fruits not only contain the vitamins and minerals found in fruits, but they offer the added bonus of dietary fiber. Fiber adds bulk to your diet, helping you feel full on fewer calories. If you love juice, downsize your portion to four to six ounces daily. 2. Focus on beverages for hydration. For the most part, that means water, unsweetened coffee (limit to two or three eight-ounce cups daily), tea, and diet soda. Coffee and herbal teas also can provide beneficial antioxidants for your health, and can be very refreshing when iced. 3. Try diet sodas and other diet drinks, such as Crystal Light, which have five or fewer calories per serving and are ideal for increasing your beverage options while minimizing intake of added sugar. 4. Don’t be afraid of artificial sweeteners. The majority of research on aspartame (NutraSweet), sucralose (Splenda), and saccharin (Sweet 'N Low) shows them to be safe for human consumption. While you only save about nine calories using an artificial sweetener instead of regular sugar, they can definitely add up over time. 5. Skip vitamin water, which contains added sugar. You are better off drinking water and taking a multivitamin. 6. Drink non-fat or one-percent milk. Milk contains nine essential nutrients vital to your health. Drinking milk as a protein source can help prevent loss of muscle mass and promote fullness for individuals trying to lose weight. Soy milk is also a healthy option. Grazing can easily lead to overeating. 1. Put together a meal on an actual plate. 2. Use small plates as a built-in way to control your portions. 3. Bring a healthy dish to a summer party. Mixed fruit salad or a spinach salad drizzled with olive oil & vinegar are simple to prepare and easy to carry. Other nutritious pot-luck contributions include shrimp cocktail or vegetables crudités with low-fat bean dip or hummus. 5. For dessert, choose the Angel cake instead of the Devil’s chocolate cake. Ice cream and frozen yogurt can pack a nutritional punch, delivering calcium, protein, and phosphorous. Stick to simple flavors like vanilla (1/2 cup provides 140 calories, 7 g fat) or choose low-fat ice cream and frozen yogurt. (1/2 cup Edy’s Slow-Churned Light ice cream flavors provide 100 calories, 3.5 g fat). Once you start adding cookie dough, brownie chunks or candy bits to ice cream, the calories soar. A ½ cup serving of a premium brand with peanut butter cups packs 380 calories and 26 gm fat. It’s also a good idea to factor in fresh fruit. Top your ice cram with a cup of chopped fruit to boost your fiber intake by 3 grams. Savory additions include diced bananas, mangoes or strawberries. While juice bars and other icy treats may provide some vitamins and minerals, they tend to contain more sugar than nutritional benefits. However, these treats can still satisfy a sweet tooth at a lower calorie level (1 Edy's frozen whole fruit bar provides 80 calories). For a cool chocolate fix, try fat-free frozen chocolate pops or sliced strawberries drizzled with chocolate syrup. Diet pitfall #5 Assuming all salads are healthy. 1. Salads can easily serve as a nutritious and refreshing summertime side dish or even a main course. Fruits and vegetables are among the best sources of vitamins, minerals, and antioxidants. Fresh fruits and vegetables have fewer calories than anything already mixed in dressing. 2. Do think beyond iceberg lettuce. Take advantage of dark leafy greens which are loaded with nutrients such as vitamin C, beta carotene, folate, calcium, fiber, and potassium, all for only 25 calories per cup. 3. Do make salad a satisfying dish by adding lean protein and unsaturated fats (heart-healthy fats).Grilled skinless chicken breast, salmon, cubed tofu, or flank steak hot & fresh off the barbecue serve as low-fat protein sources. One of my favorite diet tricks: When you make vegetables the centerpiece of a meal, it’s easy to keep calories low without counting. Low fat shredded cheese and legumes (beans, peas, and lentils) also add a protein punch. 4. You don’t have to give up all fat and flavor. Choose one of the following nutrient-rich fats for added flavor: a few avocado slices, a sprinkle of nuts or seeds, or a tablespoon of hummus. Don’t dress to kill. If there’s a dressing that you love, try a “light” variety, use 1 tablespoon instead of 2 and dilute it with vinegar. Even better, avoid pre-made salad dressings and go natural with olive oil and lemon juice. (Oily dressings coat vegetables pretty well, so 1 tablespoon (120 calories) will do the trick). 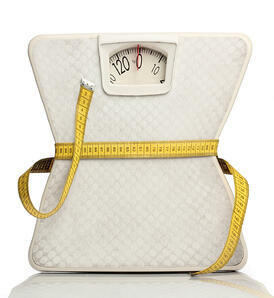 Looking to lose weight, but not ready to commit to a complete diet regimen? While a comprehensive, physician-assisted weight loss plan that takes into account your unique metabolism and needs remains the best way to lose weight, there are some small steps to wellness that you can try. Here’s a fun fact: by weight, the body of an adult human male is roughly 60% water on average, while an adult female is closer to 50% on average. However, the actual percentage of weight that a person derives from body water may vary wildly from these numbers based on body fat content (adiposity), age and even general health. This piece of advice might work for some, but not all. Why? Because the human body is so good at processing and metabolizing water. Drinking a glass of water before a meal might reduce the sensation of hunger temporarily, even enough to get through the meal itself, but the hunger will return as soon as the body finishes processing that water, which it will do fairly quickly. However, this is not to say that drinking more water (within reason) is pointless. On the contrary, water is a vital part of your nutrition. For most adults, the average amount of water (or other fluids) that should be consumed each day is roughly 1.9 liters, depending on health, general activity level and other factors. Many people either do not get enough fluids for their needs, or consume drinks that are less than ideal for the body, such as soda and alcohol (which can actively dehydrate the body). By replacing these unhealthy drinks with fresh, clean water, you can improve your overall health and cut your calorie consumption. 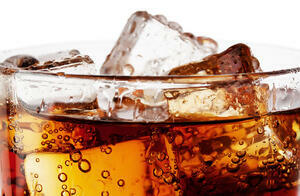 For some, drinking water instead of carbonated drinks can lead to modest weight loss, or prevent the gaining of weight. However, this tip may not work for everyone. Every person is different, and will respond to general weight loss tips differently. This is part of the reason why it is so important to consult with a physician and establish a personalized weight loss plan. If you find that you cannot seem to lose weight, even when following a strict diet and exercise routine that includes strategies such as this one, it may be time to try a different approach. Step Ahead Wellness is here to help you with our effective, proven 5-step weight loss program. Did you know that an average restaurant quesadilla packs 1,000 calories!We gave this classic Mexican dish a skinny makeover. Spicy arugula and creamy avocado blends beautifully with the creamy aromatic cheese. 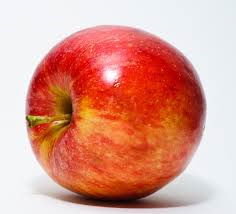 For a crunchy & sweet element, substitute the avocado with a sliced Gala apple. Stir mustard and cider in a small bowl. Heat a nonstick skillet over medium heat. Spread each tortilla with 1 ½ teaspoons of mustard mixture. Place tortilla in pan and arrange 1/3 of cheese slices over half of tortilla. When cheese melts, arrange 1/3 of avocado slices over cheese and top with 1 cup arugula. Fold tortilla in half and cook 2 minutes on each side until golden brown. Remove from pan. Repeat procedure twice with remaining 2 tortillas. Cut each quesadilla into 4 wedges. Serve with Greek yogurt as dip. We are offering a "2 FOR 1" spring training special. Buy any one of our personal training packages and bring a friend or family member in to train with you for FREE!! This is a limited time offer so act now to take advantage of it. EmailNoelle@stepaheadwellnesscenter.com if you have any questions or to schedule appointments. Offer is good until June 1! Interested in taking your fitness routine to the next level?? Call today to schedule your FREE 30-minute TRX training session, 908-470-2235. What is TRX? The TRX Suspension Trainer is a workout system that leverages gravity and your bodyweight to perform hundreds of exercises. You're in control of how much you want to challenge yourself on each exercise - because you can simply adjust your body position to add or decrease resistance. TRX delivers a fast, effective total-body workout, helps build a rock-solid core, increases muscular endurance, and benefits people of all fitness levels (pro athletes to seniors). We are taking you outside this summer! From June 1 thru Labor Day weekend, our wonderful certified Yoga instructor, Alyssia, will be offering a weekly 30-minute power walk followed by a 30-minute Yoga Stretch class in the park across the street from our office. More detailed info on this exciting new summer program will be out soon! In the meantime, email Noelle@stepaheadwellnesscenter.com if you have questions or want to reserve your spot! Our group exercise classes are still in full swing on Monday and Thursday evenings, and Saturday mornings. Email Noelle@stepaheadwellnesscenter.com to sign up or for more info! 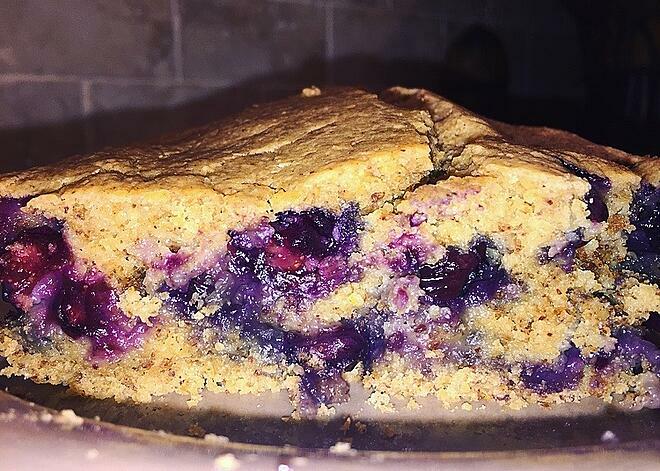 Can you pass along a healthy recipe?